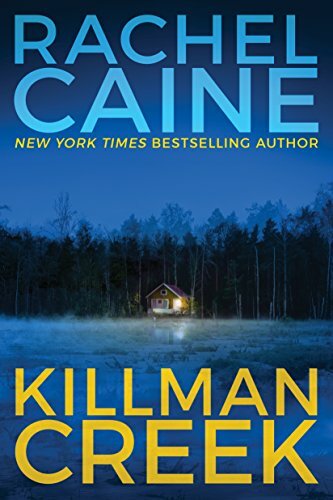 To avoid spoiling the first book in this series (Stillhouse Lake, which I read last month), I’ll just say that in this book, the Proctor family is still on the run. Only now, Gwen has decided to go proactively hunting for the enemy rather than running, and the web of deception around her is growing well beyond what she expected to find. Man oh man why didn’t I leave this series at the first book? Killman Creek was a disappointment, y’all. The things I loved about the first book? The characterization and psychology? Yeah…that was kind of a mess here. This very much felt like second-book-in-a-series rut to me. The characters changed their minds about what they thought was the truth so many times and so abruptly that it didn’t feel real. Instead, it felt like every minute change was geared toward making the plot more suspenseful. I nearly quit around the halfway point, and then again around the 3/4 point. The only reason I kept going was because I’d gotten the book via Audible and it felt like I should get my credit’s worth. (I know, I know.) It’s frustrating, because I felt like so much of the book was good and that it could have been even better if the characters weren’t going from friendly to ragingly violent to “I believe you again” in the course of two minutes. I had some other issues with the book (particularly the dubious near-magical use of technology) but it was really the characterization that did me in. There’s a third book in the series that comes out this December, but the story is pretty much wrapped up right now and I’m not sure I’ll continue on. Certainly it’ll be with more wariness if I do. As for the audiobook, the production was okay. There were four point of view characters each read by different readers, and I liked some of them better than others, as one would expect. Nothing really stood out to comment on. This entry was posted in 2018, Adult, Prose and tagged audio, RIP-worthy. Bookmark the permalink. I love your phrase “near-magical use of technology” as it has recently become a pet peeve for me in books, tv shows, and movies. While tech can do many, many things that can seem mildly miraculous, it’s not the be all and end all of…well, it all. I kinda expect shows and stuff to do it by now. I’ve heard “zoom in! enhance that!” enough times to stop rolling my eyes and just pretend. I probably could have done the same here except there wasn’t even a pretense that these things were possible or had an explanation, and I was so thrown out of the book by other factors that things I might have ignored otherwise seemed really glaring.